TORONTO -- Actor William Baldwin has confirmed rumours that his niece, Hailey Baldwin, and Canadian pop star Justin Bieber are planning a wedding celebration for their recent nuptials. "They're already married, but they're having a little gathering," Baldwin said Friday in an interview for his upcoming Ontario-shot family drama series "Northern Rescue," which will launch March 1 on the CBC Gem streaming service in Canada. Asked if the gathering will be in Canada, he teased: "Possibly." Bieber, who hails from Stratford, Ont., posted a photo of the two of them with the caption: "My wife is awesome." Meanwhile Baldwin changed her Instagram username to "Hailey Bieber." 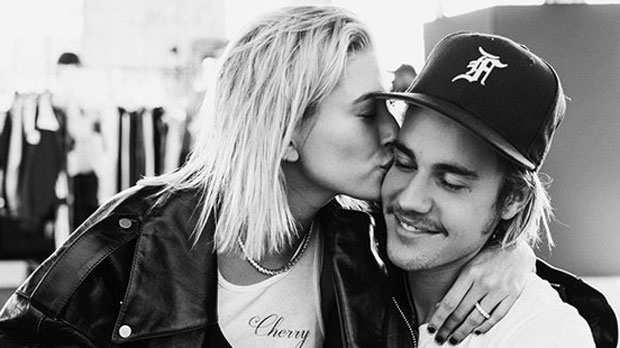 Various publications are reporting a wedding celebration will take place either Feb. 28 or on March 1, which is Bieber's birthday. "They've been friends since she was a kid and they've known each other since Hailey was, like, 12," said William Baldwin, who is the brother of Hailey's dad, Stephen. "Stephen became friends with Justin's mom and dad and they've gone to church together, they've gone bowling together. They've done all sorts of fun stuff together for years and then romantic-like candles started flickering a while ago. They've been on-and-off dating probably for several years. "They're cute and they're really an adorable couple together -- madly in love." Baldwin -- whose other credits include the films "Flatliners," "Backdraft" and "The Squid and the Whale" -- has been married to singer Chynna Phillips, of the pop group Wilson Phillips, for more than two decades. He said he's offered Hailey advice on "what it's like to navigate the waters of being in a show-business relationship and making it last." "I told Hailey, 'Look, I'm 28 years (into a relationship) and still going strong and if you ever want to talk, my wife is a recording artist, she's sold millions and millions of records and she has four or five or six Grammy nominations and No. 1 singles,"' Baldwin said. "Her first record had like five or six songs go in the top 10 and her parents are the Mamas and the Papas, she was raised in show business. "So we have a lot of stuff to draw from if they ever want us to share the wisdom of what it's like to be in show business and be in love and get married and start a family." "Northern Rescue" stars Baldwin as a Search and Rescue commander and father of three who moves the family to a small northern hometown after the death of his wife. The CBC and Netflix original production also stars Canadian actor Kathleen Robertson as the children's aunt.